Hong Kong actress Carina Lau turned 49 on Sunday (Dec 7) and she said something rather unexpected at her birthday bash. At the glamorous themed party held at Grand Hyatt Hong Kong, Lau reportedly "reproached" Hong Kong singer-songwriter and actress Faye Wong candidly for not "giving her face", according to Xin MSN. Lau expressed her gratitude to Wong for attending the party and flying to Hong Kong even though media attention was on her re-ignited relationship with Hong Kong actor Nicholas Tse, who had recently divorced fellow Hong Kong actress Cecilia Cheung. "All guests are welcome to come up on stage. If you are my friend, you'd naturally sing for me. But there are some friends who wouldn't (do it) even if I ask them to, just like Faye Wong," Lau said at the party. Lau also spoke about her decision of not inviting Wong's ex-husband Li Yapeng and boyfriend Tse, and called good friend a "troublesome guest" in the process, reported the local entertainment website. Queen Carina, dressed in black and white and a pearl necklace, greets her guests with her husband Tony Leung Chiu Wai. 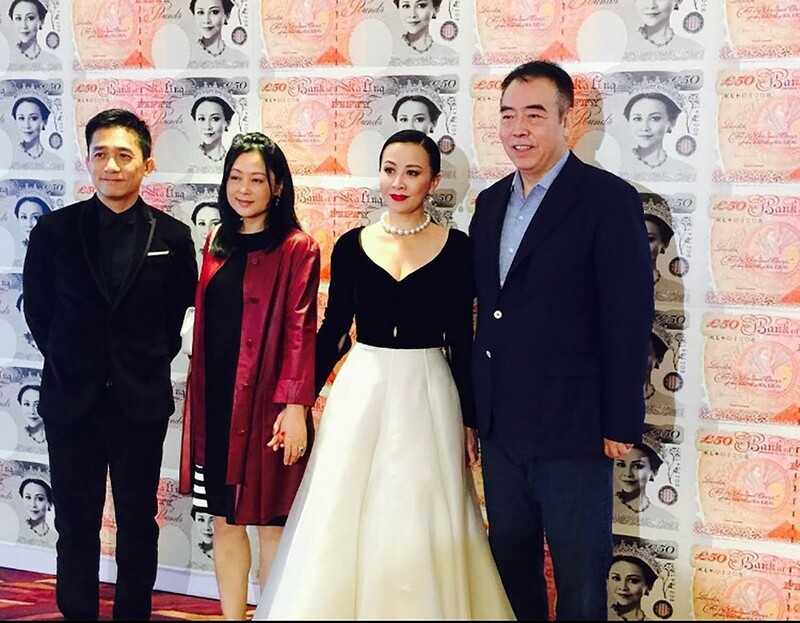 Carina Lau and Tony Leung with their guests, director Chen Kaige and wife Chen Hong, at the bash that features a wall of Carina Lau banknotes. 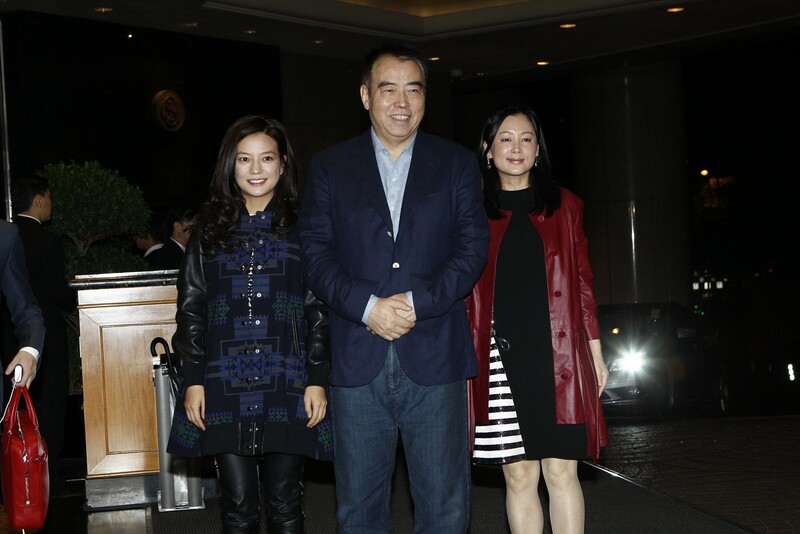 Vicky Zhao, with director Chen Kaige and his wife Chen Hong. 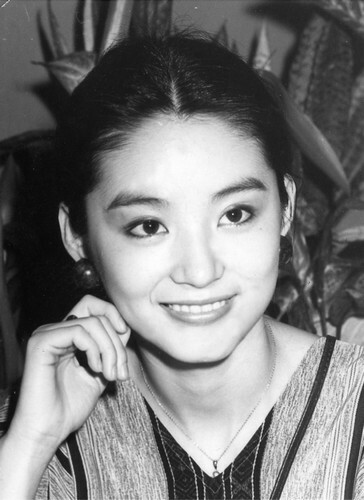 Actress Liu Xiaoqing, looking youthful and radiant. 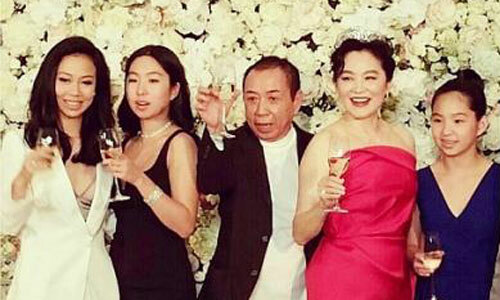 Lin Ching-hsia, Rosamund Kwan and Cherie Chung drink to Carina Lau. 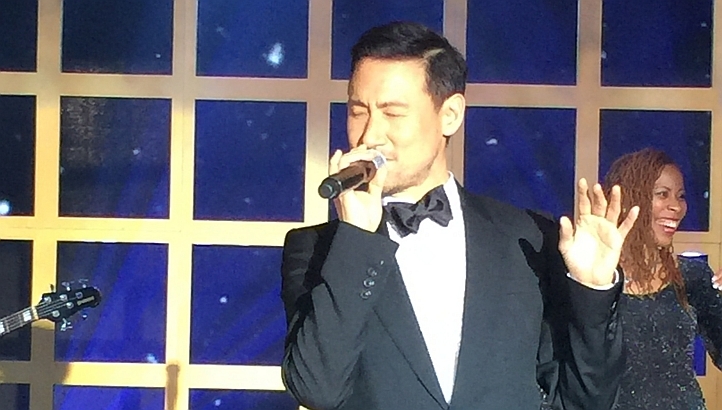 Jacky Cheung sings New York, New York. Tony Leung's mother arrives at her daughter-in-law Carina Lau's birthday bash. Actor Ray Lui and his wife Yang Xiaojuan. Singer Alex To arrives with his wife Ice Lee (right) and former actress Anna Ueyama. 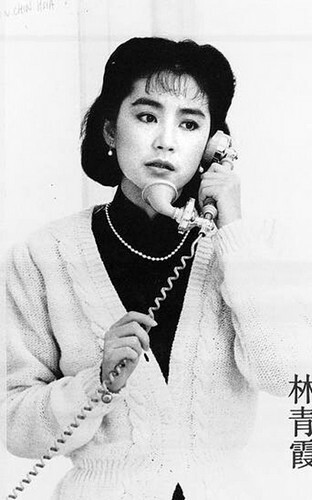 Ueyama, formerly known as Anna Kamiyama, and Carina Lau were TVB stars in the 1980s. Actress Miriam Yeung and her husband Gary Ting. Actress Niki Chow and her sister, model Kathy Chow - a former girlfriend of Alex To. Singer Kenny Bee and his wife Fanchiang Su-chen - a close friend of Carina Lau. The actor was snapped asleep in a car as he left the event. She added: "My words are sincere. I really wanted to invite Yapeng but it seemed very 'inconvenient'. I wanted to get Nicholas to come as well, but Faye was concerned that he would steal the limelight." Lau, who was Queen Carina that night, greeted her guests with husband, Hong Kong actor Tony Leung Chiu Wai. 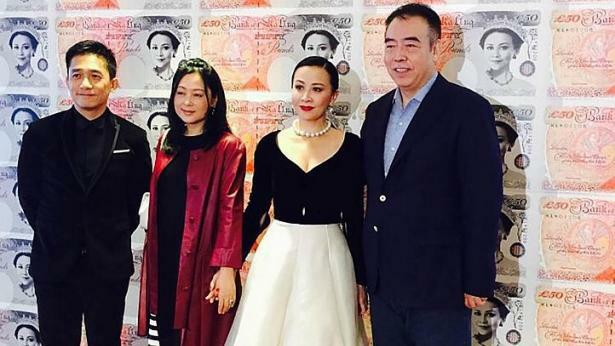 The showbiz veteran had 50-pound notes printed with her face on it instead of Queen Elizabeth, according to Sing Tao Daily. 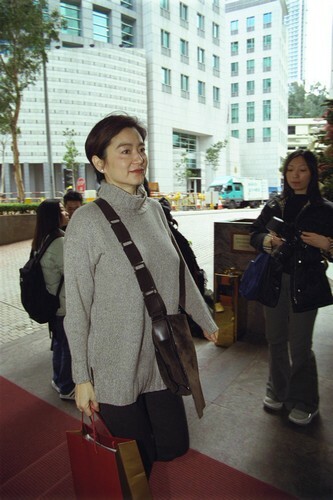 Ming Pao Daily News reported that she wore a black and white dress which she donned at the 1995 Golden Horse Awards and paired it with a pearl necklace. According to The Straits Times, Lau also "swirled in the gown for a series of selfies", before she changed into a second outfit for the evening - a red dress. 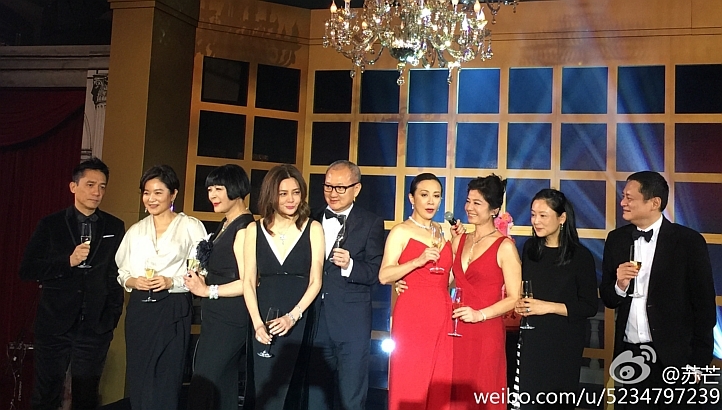 Guests who were invited to the birthday party included Cherie Chung, Rosamund Kwan, Faye Wong, Vicki Zhao, Liu Xiaoqing, Chen Kaige, Chingmy Yau, Ray Lui and Eric Tsang, according to Apple Daily. In addition, Xin MSN reported that Hong Kong singer Jacky Cheung performed a song "New York, New York" as a birthday gift to Lau. Once a movie queen, always a movie queen. Lin Ching-hsia celebrated her 60th birthday in a pink gown and tiara, holding court at a party attended by other beautiful people at The Peninsula Hong Kong on Nov 3. 2014. 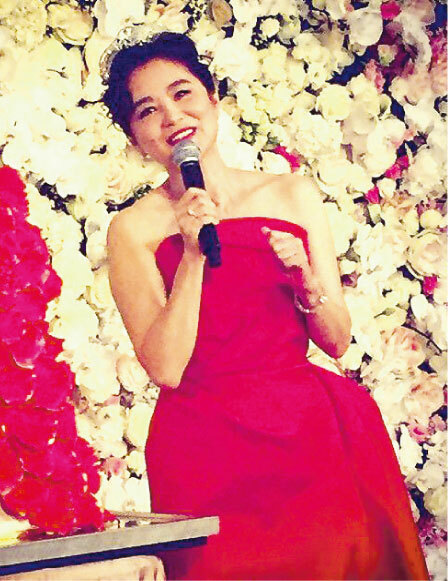 Lin Ching-hsia in one of her many outfit changes - in a red satin bustier gown and wearing a tiara. Flowers formed a backdrop at the event planned by the former actress' stepdaughter Claudine Ying, who is in the early education business and whom Lin raised after she married billionaire Michael Ying, said Ming Pao Daily News. Lin Ching-hsia with her friends, including Cally Kwong and Cherie Chung, during a photo-taking session at the bash. 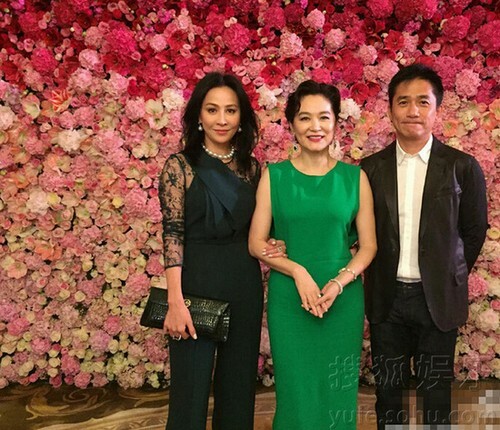 Celebrity couple Carina Lau and Tony Leung Chiu Wai were among the guests who arrived at about 7pm - empty-handed. Leung said: "Sister Ching-hsia said no gifts, so we've come to congratulate her." Former actress Cherie Chung attended the gathering. As well as casino heiress Pansy Ho. Among the guests present was Cally Kwong. She is a singer turned-jeweller. Hong Kong movie producer Nansun Shi was there. Mandopop legend Liu Chia-chang was spotted at the party. Along with actor Ti Lung and his wife, former actress Tao Ming-min. 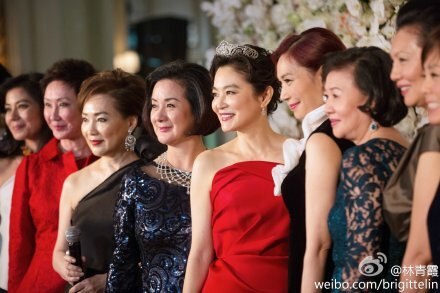 Lin greeted her guests in a green gown, then changed into something more regal for the party proper, said Ming Pao. Lin held court at the party wearing a tiara. The former actress, who has turned to writing, is publishing a second book, Cloud To Cloud. The book includes reminiscences of her late friends Teresa Teng and Leslie Cheung. She shared some parts of her book with her guests on Monday (Nov 3, 2014), said Ming Pao. There has been tabloid talk of cracks in Lin's marriage and newspapers said they did not see her husband arrive at the party. But Claudine later posted a photo of the couple at the banquet, raising their flutes of bubbly and flanked by their three daughters. 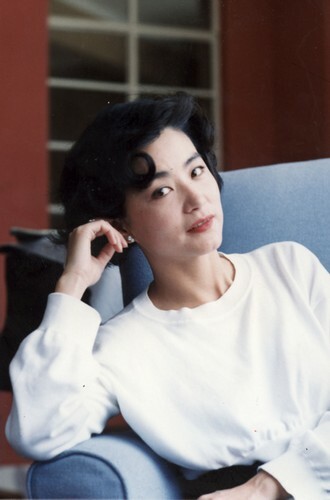 For other pictures of Lin Ching-hsia and of those in her younger days, click on the gallery to see more. Chinese director Wong Kar Wai (left), Lin Ching-hsia and Hollywood actor Brad Pitt. Lin Ching-hsia with Hollywood actress Angelina Jolie at the New York Film Festival for the premiere of the movie, Ashes Of Time Redux in 2008. Lin Ching-hsia on her 50th birthday. She was seen at a salon of her favourite hairstylist, Kim Robinson, in Central District in Hong Kong that day getting her hair done before a banquet. 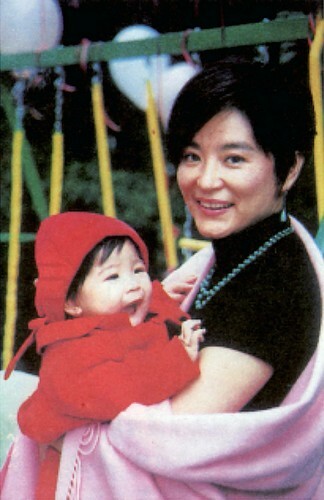 Lin Ching-hsia at 46 years old and four months pregnant with her second child. Lin Ching-hsia after she delivered her second daughter.